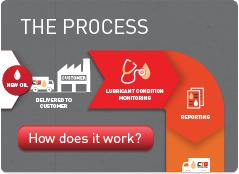 CTG Lubrication Services are the Australian Distributor of Fluitec International products. Fluitec International is a cleantech company headquartered in New Jersey USA. In operation for more than 20 years, Fluitec provides expertise to companies in 60 countries across 5 continents, today they are one of the world’s foremost authorities in the management and monitoring of oxidative stress in critical rotating machinery used in everything from helicopters to power-plants. Fluitec foundation is built on the patented RULER Remaining Useful Life Evaluation Routine and MPC Membrane Patch Colorimetry tests to evaluate and monitor lubricant life. These tests have received ASTM recognition and today are used by laboratories around the world. Fluitec ESP filtration systems utilize custom made media to efficiently remove varnish deposits from lubricating oil. When combined with Fluitec Boost technology ESP filtration enables equipment operators to extend their lubricants life potentially eliminating the need for costly oil changes.